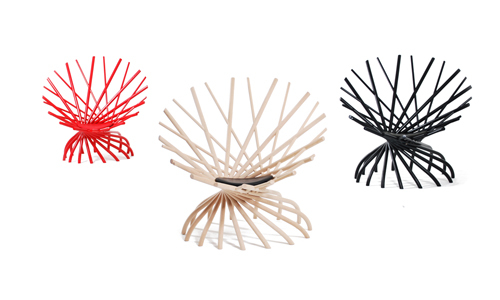 When you first look at this Nest Chair by Swedish designer Markus Johansson, the chair perhaps is a spiral full of chaos. 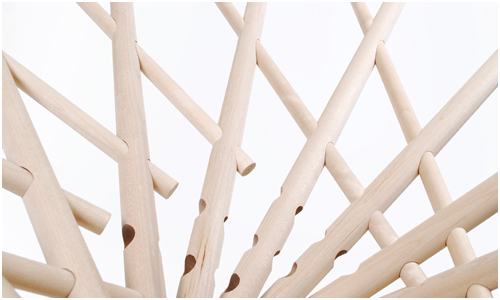 The chair is indeed made out of a free form combination of round pegs without any “correct” angles, and entirely out of wood. 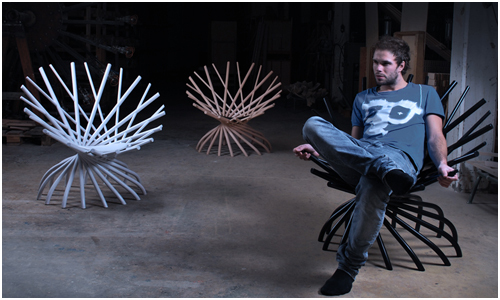 See a “the making of” video for the Nest Chair below. 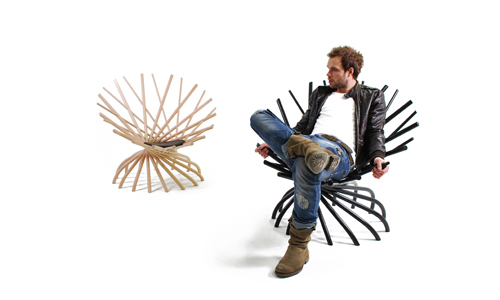 This chair is in the permanent collection of the Museum of Art and Design, New York. 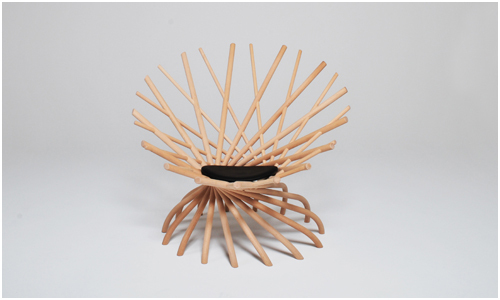 Available in Beech or Ash, with upholstered seat with leather. Pricing is at around 3 700 to 3 990€. Stain in white or black additional. 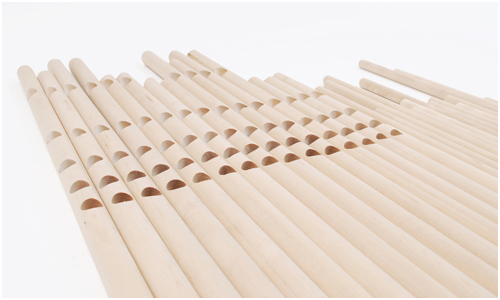 Images and video provided by Markus Johansson Design Studio, used with permission.